When Emma St. John received her brother’s letter imploring her to escape her stepfather’s vengeful scheme and to trust Dakota Barringer with her life, she was willing to chance it. But the handsome, brooding riverboat owner Emma found in Natchez a danger of another kind. For Emma soon found herself surrendering to an unrelenting desire. 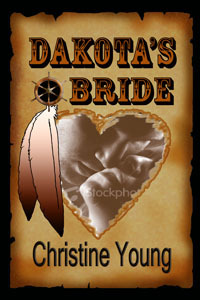 Raised by the Sioux when his parents were killed, Dakota had been betrayed once before by a white woman. He wasn’t about to trust another, especially one claiming that her stepfather, a powerful U.S. senator, had framed her as a murderess. But he couldn’t let Emma’s intoxicating effect on him. Now Dakota would risk his very life to protect the innocent beauty who had seduced him with her tender love. When her father decided to send her to a finishing school back East, Angela Chamberlain refused to be confined to stuffy drawing rooms. Instead, the daring spitfire who could shoot like a man and ride like the wind longed for a life of adventure and romance—and she knew exactly who could give it to her. Devil Blackmoor was a hired gun with a dangerous reputation. But Angela was willing to go to the ends of the earth to capture the handsome devil’s heart. He’d come to America looking for excitement, but Devil Blackmoor got more than he bargained for when he encountered a beautiful rebel who answered his kisses with a wild innocence that touched his very soul. Yet standing between them were more obstacles than either ever dreamed. For Devil had strapped on a gun for the wrong man. And that made Angela his enemy. Now he’ll have to choose between his duty and the woman he loves more than life. Seeking revenge for crimes against his family, Misha Petrovich follows a path that leads straight to Ariel Cameron. 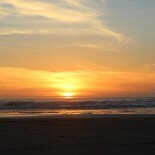 Light mysteriously broke from the eastern horizon. The dark silhouette of a man on horseback stood in bold relief. In one hand he held a saber, in the other a rose. He held both objects aloft, his arms stiff while his battle cry filled the air, the sound stark and terrifying. The lone man remained on top of the hill but a moment and then, as if the delicate flower burned his hands, he threw the rose to the dry desert sands. When he turned his horse and rode away, the rose was trampled beneath the hooves of his stallion. A breeze lifted the petals of the flower from the stem one at a time, leaving only the thorns behind. Clouds rolled in, thunder demanding its place next to the sheets of lightning that suddenly controlled the dawn. 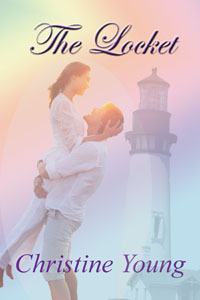 The Locket is a very exciting tale with a dramatic setting. The characters are complex and well drawn… Overall, this is a very entertaining story. Running from a marriage that lasted one night, Dr. Moriah McKeown discovers the land she has settled on is coveted by determined and lawless men. Yet the proud young woman who once vowed never to abandon her home has second thoughts when her adopted children are threatened. Her only recourse is to enlist the aid of a dark, dangerous gun for hire. Haunted by the past and a betrayal he will never forgive, Ian Civanovich uses his fast gun and his reckless courage to forget the faithlessness of a woman in his past. He will trust no female–nor will he rest until the threat hovering over Moriah McKeown is put to rest.